Lord Shen: "How did you find peace? I took away your parents. Everything. I scarred you for life." Po: "See, that's the thing, Shen. Scars heal." Lord Shen: "No, they don't. Wounds heal." Po: "Oh, yeah. What do scars do? They fade I guess?" Lord Shen: "I don't care what scars do!" Po: "You should, Shen. You gotta let go of that stuff from past, 'cause it just doesn't matter! The only thing that matters... is what you choose to be now." Do scars really fade? Words of wisdom are good and may guide us, but evidence-based research provides us with the facts so that we may act with a tangible basis. The above study is published in the journal Social Forces. It involves about 9000 students. 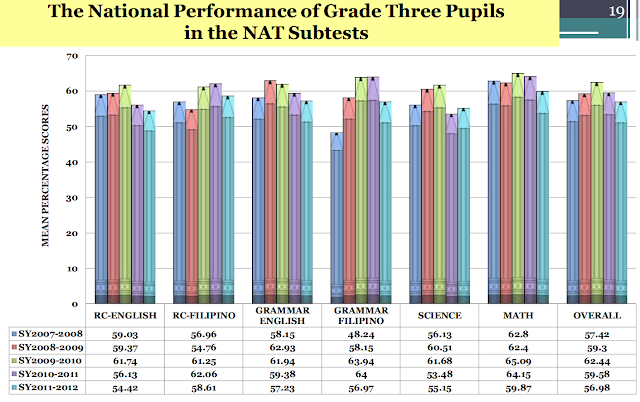 To match students, several factors which include race, gender, family income, parent's educational attainment, immigration status, IQ scores, are taken into account to predict a measure of likelihood to be retained. And the results are: Children who are retained in primary school are 60 percent less likely to graduate high school than children with similar backgrounds. 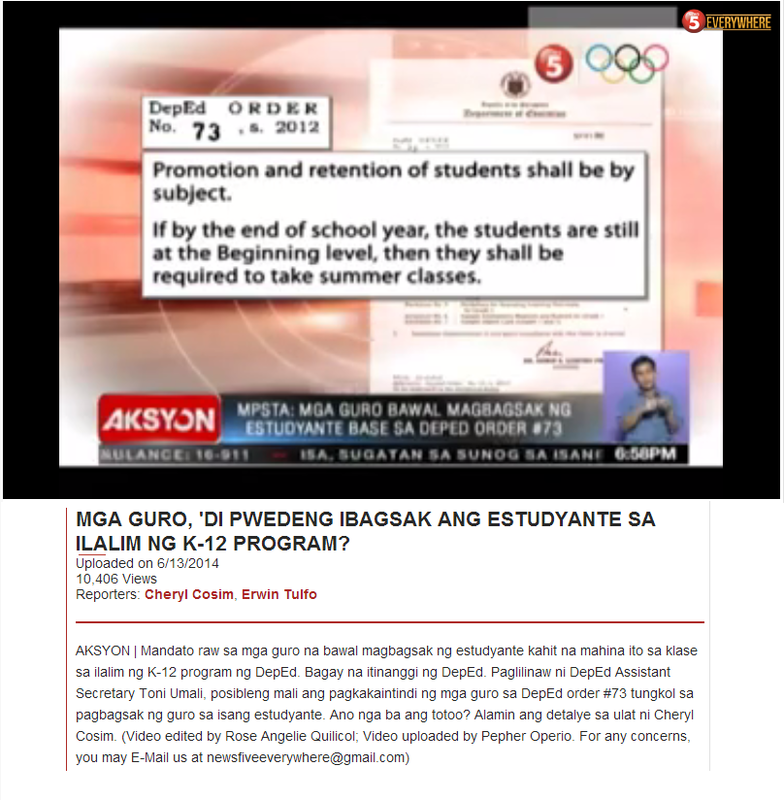 The problem is, Mr. de Dios, our present educational system dictates that mass promotion is in. If we fail a student, then it's a teacher factor...teacher's fault. Goodness! Pupils are not with the teachers the whole day. We can't monitor them the whole day. That's when the parents must monitor/follow up on their children's assignment/task. Thing is, do they? 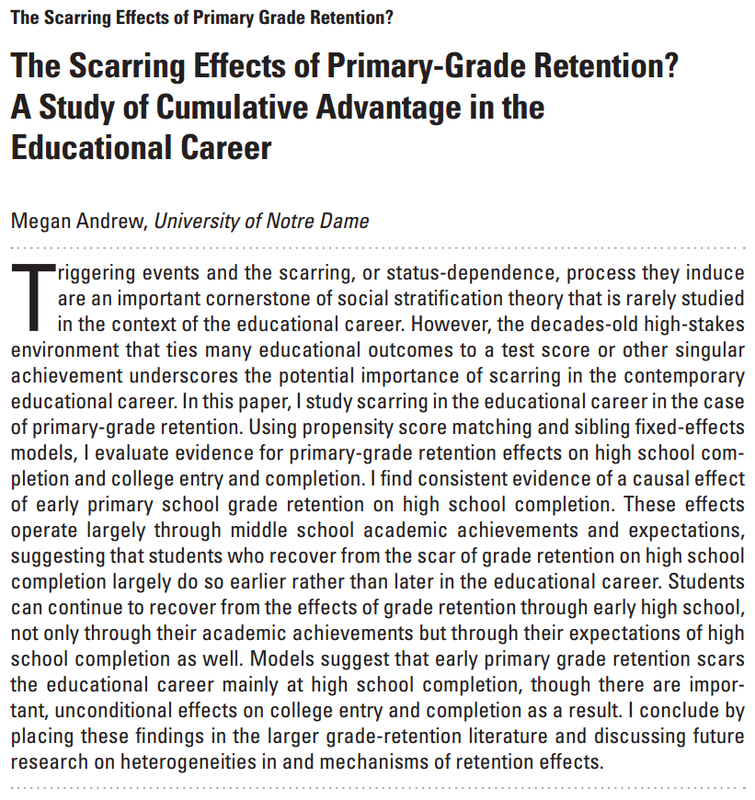 The study cited in the above post provides evidence against retention. Schools in Finland do not even have exams. Why is it necessary to give grades, in the first place?